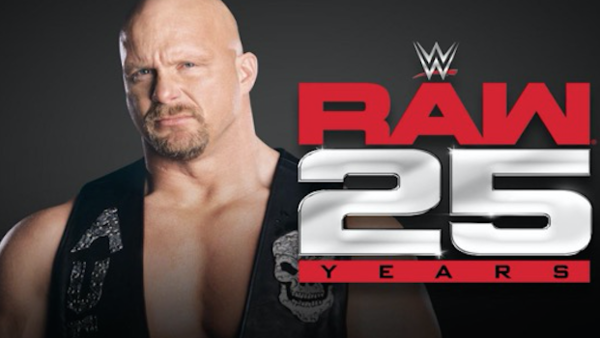 A fabulous teaser trailer lit up the January 8th edition of Monday Night Raw rattling through a galaxy of stars set to return to celebrate 25 years of Monday Night Raw on January 22nd. Airing shows simultaneously from the Barclays Center and The Manhattan Center, the celebratory broadcast will be fittingly staged from WWE's most recent spiritual home in Brooklyn as well as the flagship's beautiful birthplace. Rivalling Madison Square Garden for contemporary prestige since opening in 2012, Barclays has hosted several notable WWE and NXT shows, but the beautiful neoclassicist amphitheatre on the seventh floor of the historic Manhattan Center hasn't been used for WWE television in nearly 20 years. A 1997 visit to the venue for a March edition of Monday Night Raw was WWE's first in four years having produced the majority of the inaugural year there until spiralling costs required taking the show on the road. It's assumed the stars will be spread thin across both venues, which is perhaps why the company has already loaded the evening with such a rich array of talent. The names already confirmed are a who's who of Hall Of Famers, heroes and heels.